Are you as stunned as I am? This weekend the New York Rangers treated us to some of the hardest working and hardest hitting hockey we've seen all season; all this without Marian Gaborik, Vinny Prospal and Chris Drury, all out on injured reserve. Tonight's win against the NJ Devils at home makes for three wins in a row (4-2-1) erasing earlier worries that we couldn't be a playoff contender. I know, I know, it's too early to even go there, but our weekend warriors pounded our opponents - the Bruins Saturday night (Official recap here) and tonight against the NJ Devils (Official recap here). On both occasions, the Rangers outworked our opponents, played aggressive forechecking two-way hockey for 60-minutes each game (Yeah, really!). It makes everyone believe for a moment or two or three (wins) -- they are united and they know what they need to do. Even Micky Rozsival played solid hockey (with the exception of that Kovalchuk goal in the 3rd period tonight). Kovalchuck, in the first season of a 15-year, $100 million deal, returned tonight to New Jersey's lineup against the Rangers a night after he was benched by coach John MacLean for undisclosed reasons. 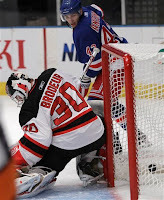 The NJ Devils proceeded to lose to Buffalo 6-1. Okay, so let's back up and read that again. ...because we won tonight. Even more than that, we controlled them tonight. Kovalchuk back in the lineup had ZERO effect on the game, with the exception of his one goal. NY's Ryan Callahan played Kovie man-to-man much of the game, and very effectively at that, and the Blueshirts shut them down. Not until the last four minutes did we see a threatening force attacking the Rangers goal and waking up a hibernating Henrik Lundqvist. 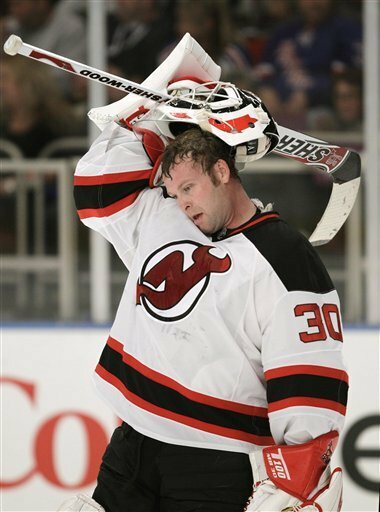 The only redeeming force on the Devils side tonight was Mahhh'ty Brodeur in goal. That's it. He prevented numerous Rangers scoring opportunities, but our boys never let up and never stopped believing. Pound the net, push forward and shoot...and shoot....and shoot..... "Gooooaaaal......."
Those last 30 seconds of defensive hockey were awesome. Thrilling, adrenaline inducing and proud moments for a fan. The King Henrik is back with Prince Biron at his side. Last night against Boston and tonight against the Devils are the perfect examples that we have finally left the days of the Jaromir Jagr perimeter-hockey system - or simply, the 'play the outside and look for the perfect shot' system. Even Rozsival & Dubinsky seem to be moving toward the net with more frequency. We have now entered 'dirty goal heaven' where you shoot no-matter-what and dig and grind your way in. It also appears that Tortorella's message of 'stick up for your own' is having an effect on the boys, as there haven't been many hesitations on our end to stick up for a player that might have been wronged. 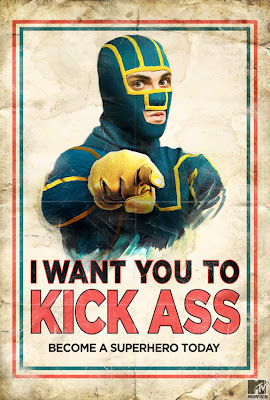 Yes - there were a couple of clean hits that we retaliated against (i.e. Sean Avery/Boston) but it sent the right message to not f*ck with us and keep the game fast and clean. But most importantly, we are seeing the results of "LET YOUTH BE SERVED" a bold statement made by coach John Tortorella in the off-season. We are seeing just that and these kids want it and are earning it. Amen. We all acknowledge it's early in the season - the Rangers sit in 6th place in the Eastern Conference (NJ is 15th) but it is this crucial time that a team develops the chemistry necessary to pound through another 75 or more season games together. Things are looking up for this young Rangers team and, for the moment, we are proud fans and proud devotees of this very special Original Six franchise. Let's Go Rangers and see you Wednesday against The Thrashers. LOL. Rozsival gets the blame for the Kovy goal? It was a weird bounce off Prust's skate. Yet I notice no mention of Rozy's goal, assist, or standing as the team's top D-man with 6 points in 7 games. There's almost no point in reading Ranger blogs anymore. It's not about fact, it's a popularity contest. Anonymous, no question. My point was one of redemption and he did play a great game, including Toronto and Boston. But...come on? Any Rangers fan knows Rozzy has been shaky and questionable trade-bait. Historically this guy shows up during the playoffs, but I acquiesce to your point. He is a highlight on the blueline. So there -- you gave the much needed props. BTW, Rozzy wasn't covering his man which led to a goal, weird bounce or not. Who the frack cares? WE WON! ROZ has been tight this season and i agree with anonymous that it wasn't his fault but he does make himself invisible for long stretches prone to stupid mistakes. We won? Right? LOL OK. We'll go based off past history and popular opinion instead of what's actually happening currently. In that case, why not just write off the Rangers' whole season right now and be done with it? Why the sour puss attitude, Anonymous? Writing off the whole season right now? Did you actually read my post? It's a song to the Rangers, with a little historical Rozzy dig. Everything, including our little hockey team is based on past history, so sorry to hurt your Rozzy-Man-Crush feelings and let's get on with it. Um, I'm not a man, and I don't have a crush on him. Maybe I'm a dreamer, but I think bloggers should try to be impartial instead of perpetuating stupid prejudices that don't apply to the present. You mentioning a turnover in a game in which he had 2 points and that he was partly responsible for the Rangers winning speaks a lot to your credibility. That is all.